The Froebel Gifts are a range of educational materials designed by Friedrich Fröbel (1782–1852). Fröbel advocated the importance of free play in childhood. Each gift (Gabe) was designed to be given to a child to provide material for the child's self-directed activity. 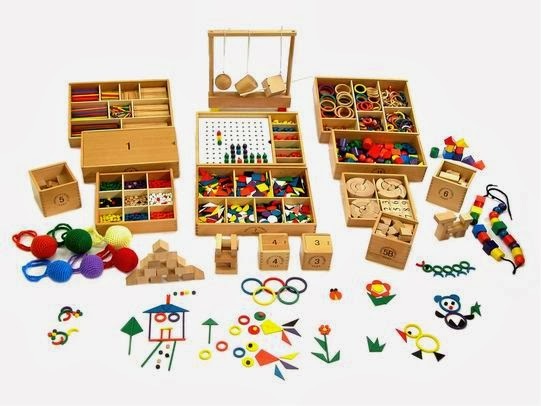 These Gifts are a series of activity-based playthings ranging from simple sphere-shaped objects, through to geometric wooden blocks and more advanced Gifts pertaining to sewing, cutting, weaving and the modelling of objects in clay.